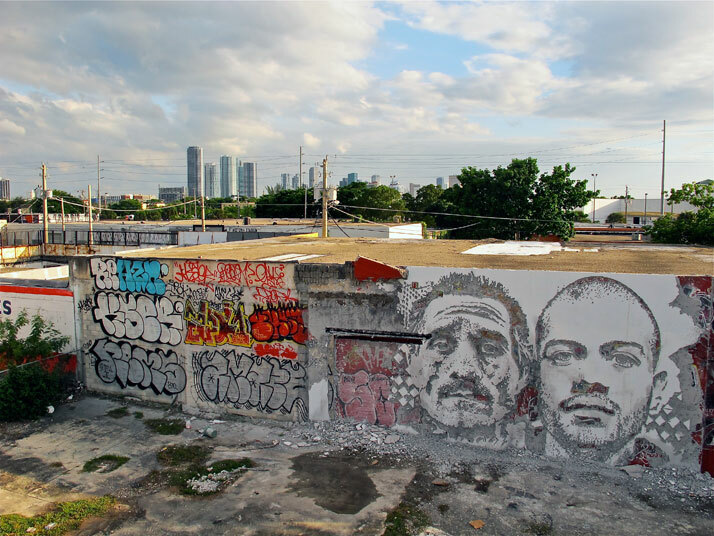 Concrete, steel, brick and stone have long been the substrates that paint our architectural canvas but they have also been the substrates that allow graffiti artists to paint our surroundings. 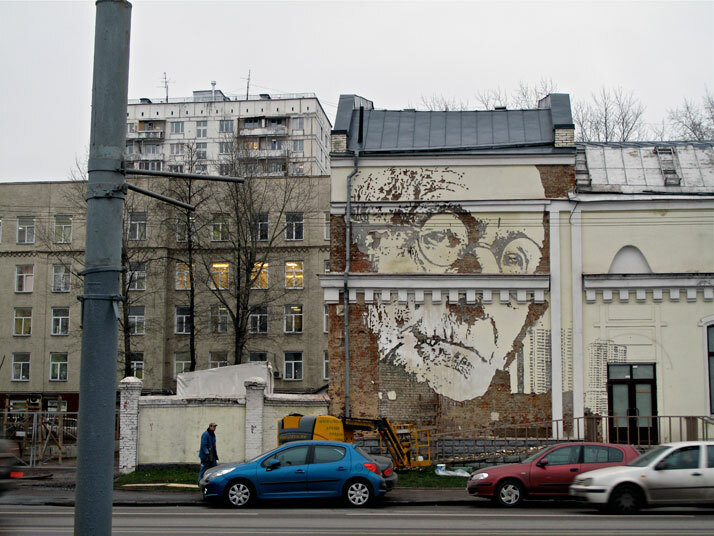 Both substrates, the architectural and the painted, articulate the dichotomy of destruction and construction. 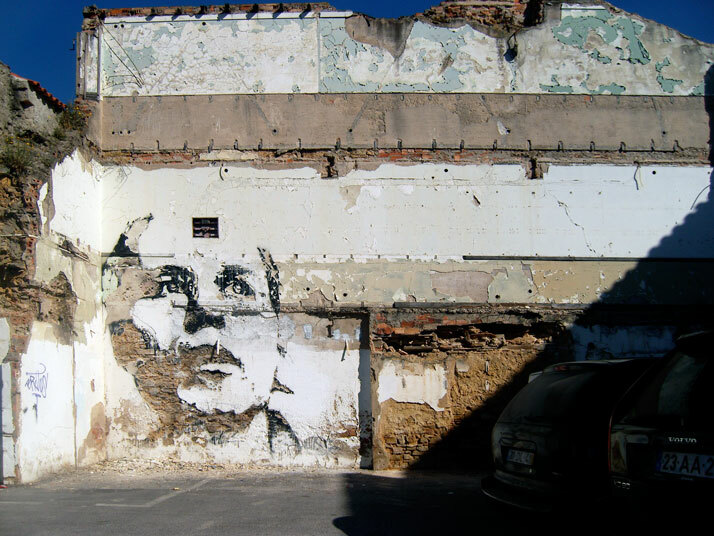 These architectural materials became the canvases of political murals in Portugal during the 70's and 80's. 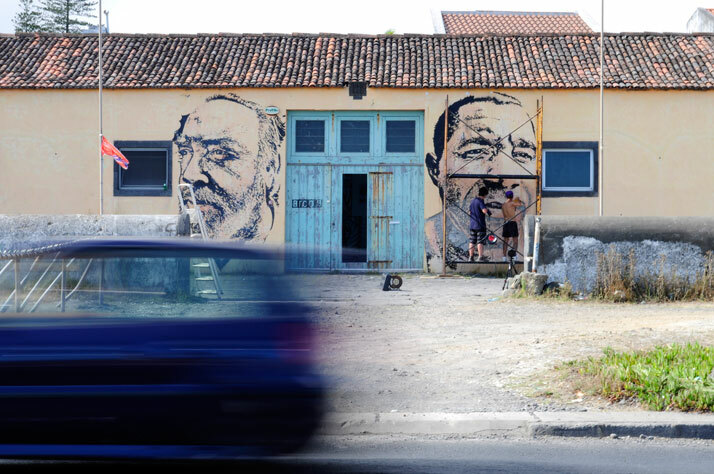 After the Carnation Revolution on April 25, 1974, the streets of Portugal began portraying an overlay of political mural decay and contemporary advertising billboards. 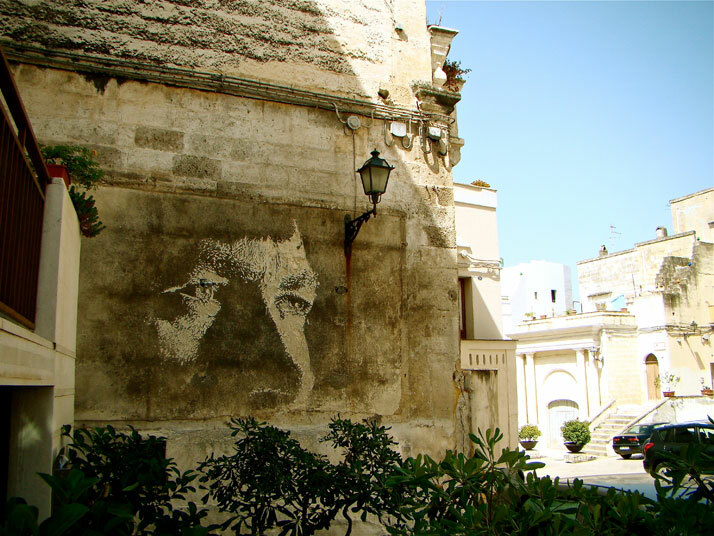 A graduate from the University of the Arts London Central Saint Martins, Alexandre Farto is fully aware of the influence that his city's history has had on his artistic pursuits. 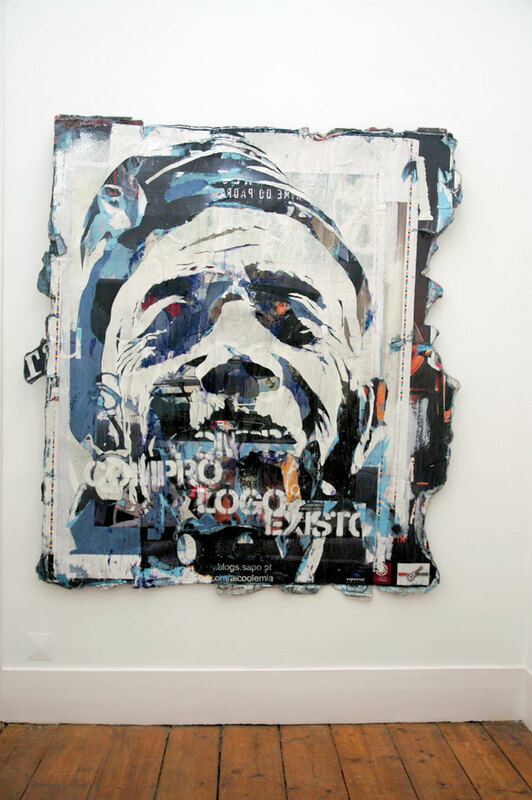 He felt compelled to communicate the essence and transition his streets have lived through and communicate these elements through his own work. 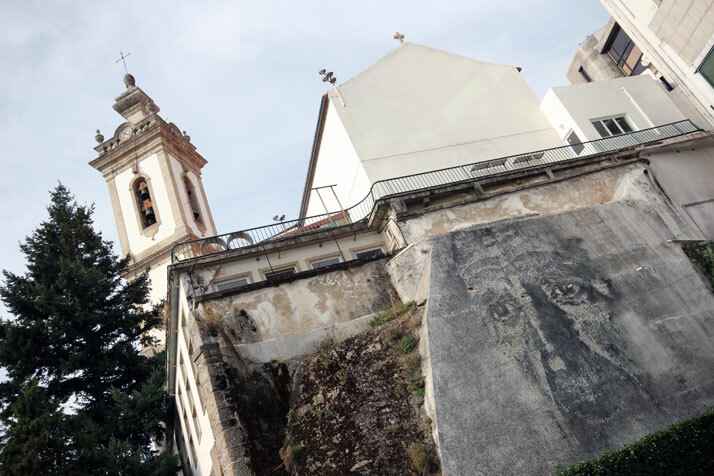 Born in 1987, Portuguese graffiti/street artist, Alexandre Farto, aka VHILS, grew up in the new Portugal, decades after it joined the European Union. 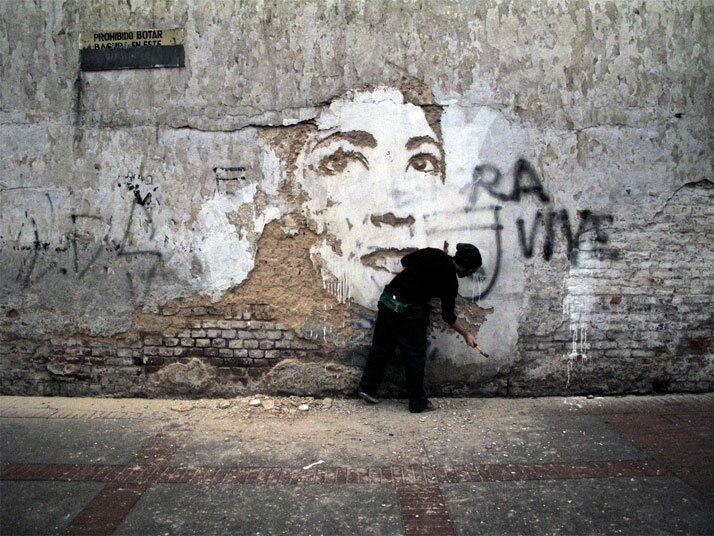 The contrast between revolutionary murals and the new mass advertising era brought conflict and inspiration to his creative vision. 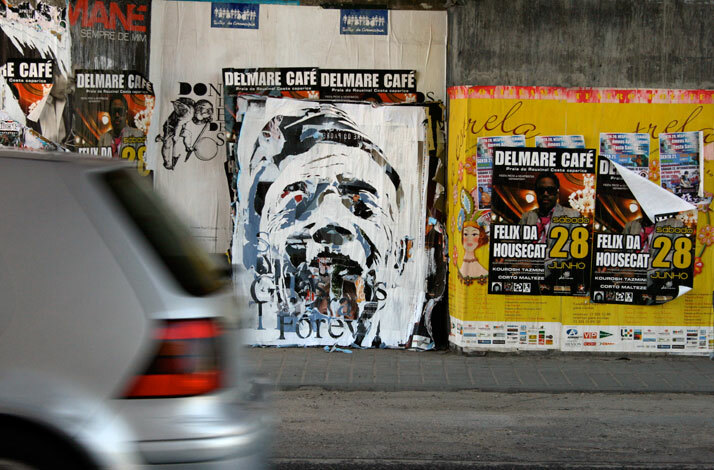 Like any other street artist, amalgamating an audience and staging his work in new ways became the focus of Farto's work. 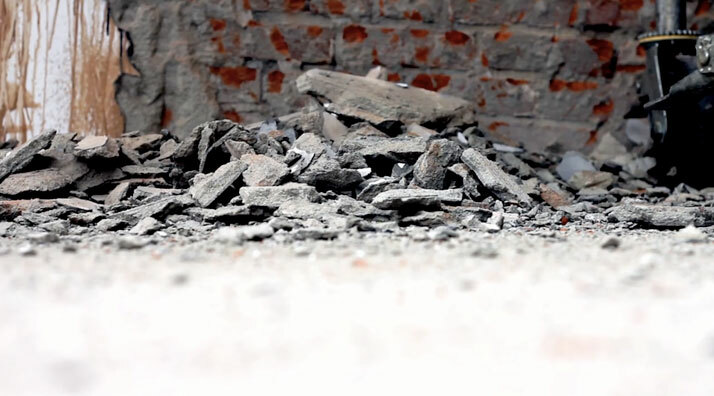 Focusing in on the process of destruction to create something more interesting is only feasible by manipulating what currently exists. 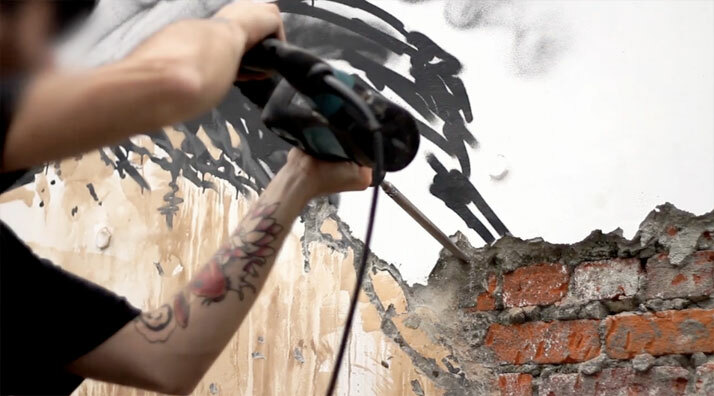 Using construction tools, he exposes and confronts the architectural surfaces as they narrate the story of the graphic and of the city itself. 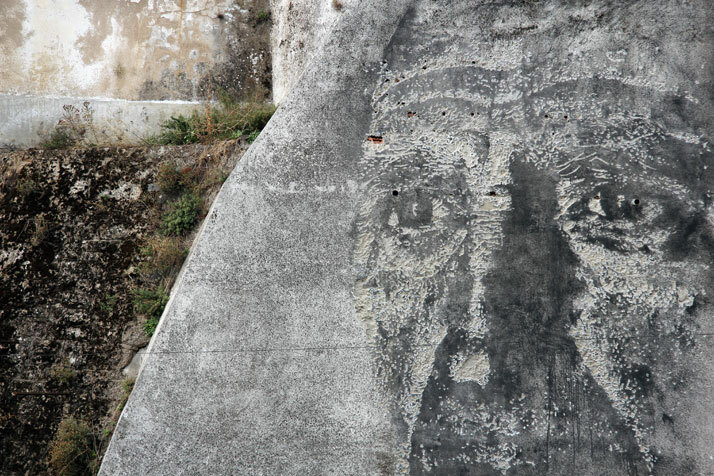 Etching acid and bleach, he begins to depict the canvas to be de-constructed. 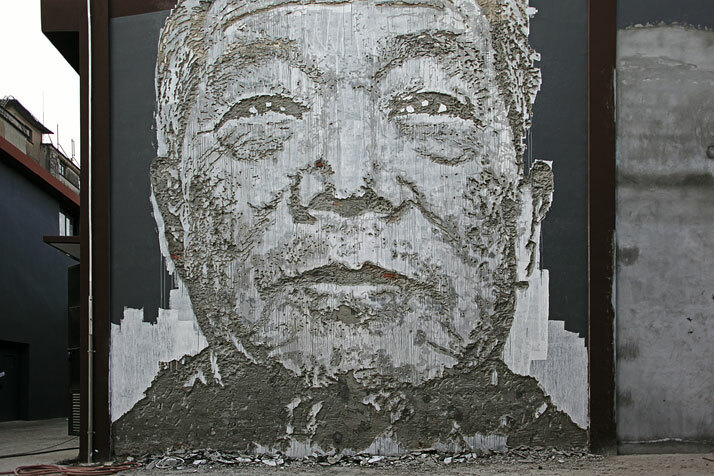 Then with the use of hammers, chisels and pneumatic drills, VHILS sculpts the stenciled pieces to create texture, dimension and layers. 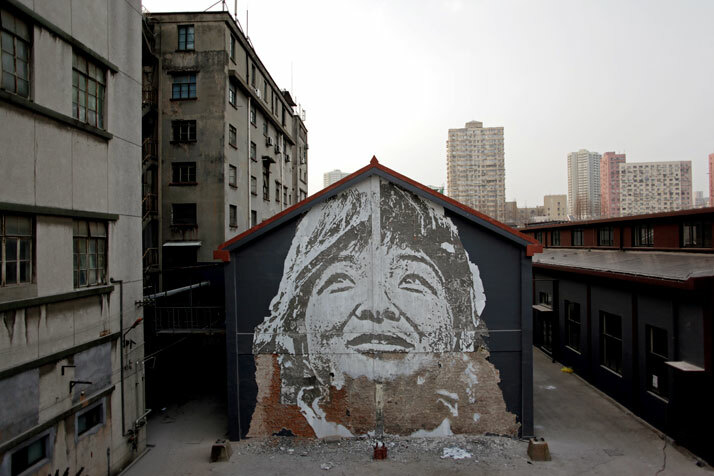 Going by the name of VHILS, his work has obtained plenty of interest when a face carved into a wall appeared alongside a picture by street artist Banksy in London in 2008. 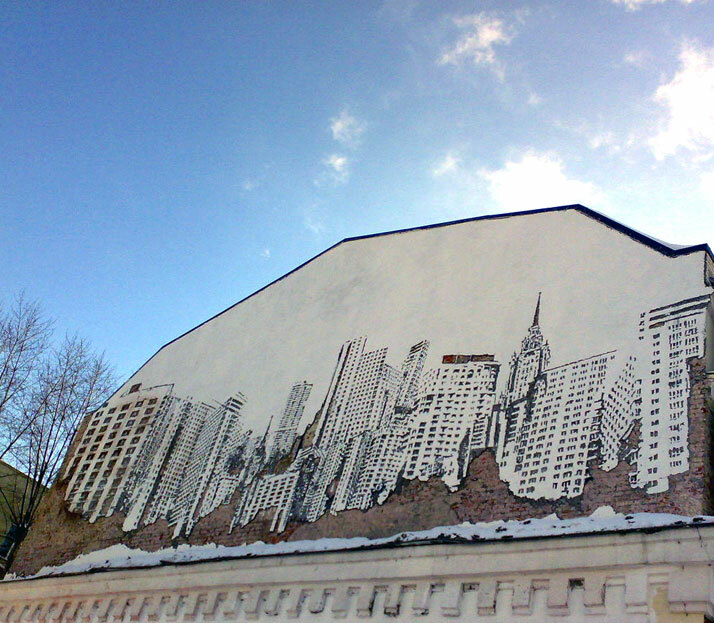 His work is a renovation of our urban environment. Equally as important as art, it must exist not only in our galleries but out in the environment as well. 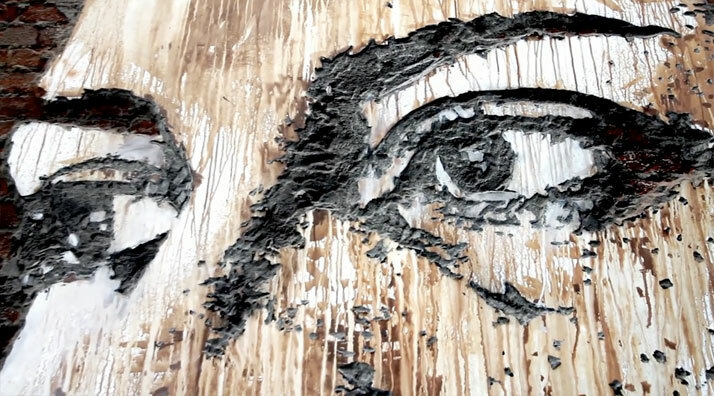 By manipulating a variety of surfaces, VHILS envisions rich and layered portraits on our buildings that not only show us a visual portrait but also a picture of time in the city. 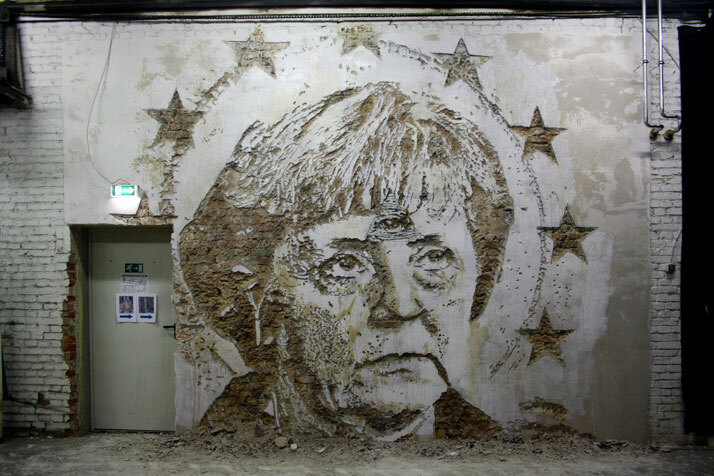 Part artist, stone mason and archeologist, he slowly excavates the process of his craft. 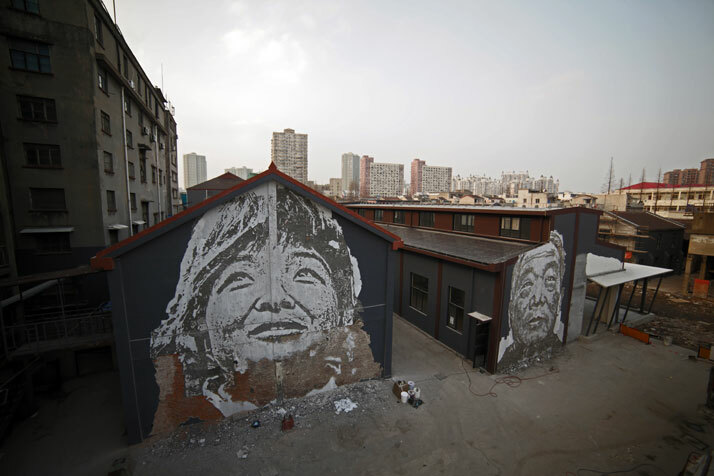 We therefore look forward to VHILS’ continued growth. 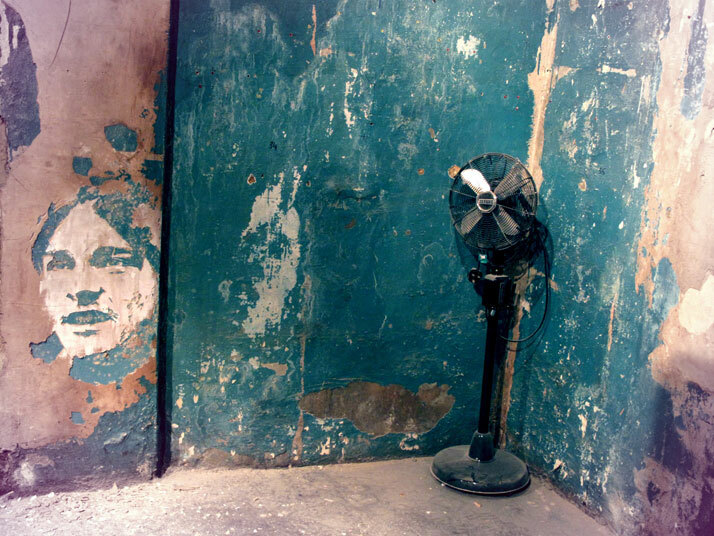 So don’t be afraid of sending Alexandre Farto a picture of an available wall surface that needs deconstructive painting!